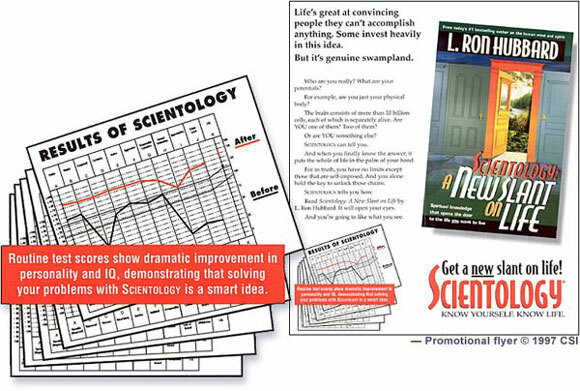 Promo: Get a new slant on life. 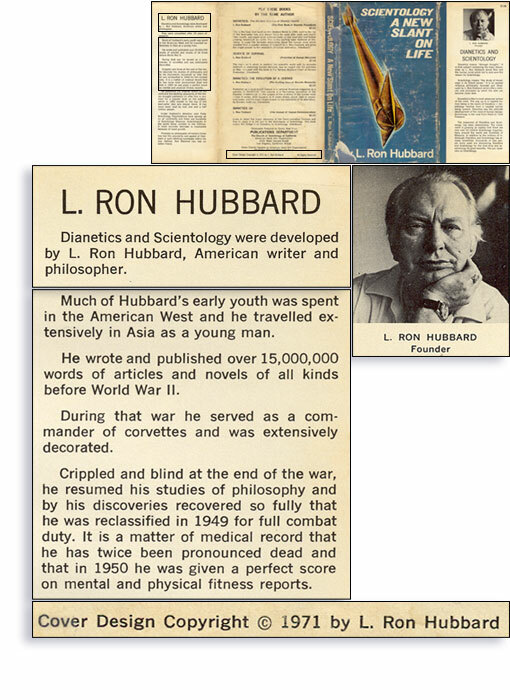 RESULTS OF SCIENTOLOGY Routine test scores show dramatic improvement in personality and IQ, demonstrating that solving your problems with SCIENTOLOGY is a smart idea. Life’s great at convincing people they can’t accomplish anything. Some invest heavily in this idea. But it’s genuine swampland. 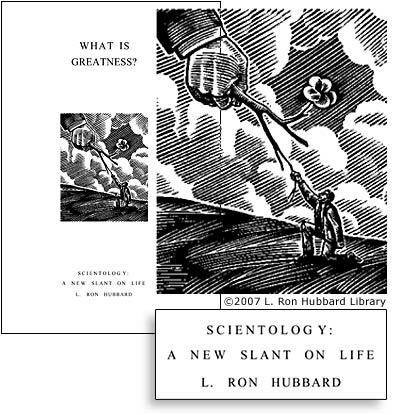 Book: Scientology A New Slant on Life: What is Greatness?